Just when you thought liberals had sunk as low as they could, they break out the shovel and start digging. Nothing is sacred anymore. Nothing is off limits, and everything is political. This week showed us once again there is nothing Democrats won’t exploit, no grave they won’t dance on, if they think they can score political points. And there’s nothing “journalists” won’t spin, won’t lie about, and no hypocrisy too great to prevent them from smearing their political opponents. The sad deaths of four soldiers in an ambush in Niger normally would not be a political football, but these times are anything but normal. In the past week, a media narrative developed about how President Trump hadn’t spoken publicly about the deaths of the men at the hands of an ISIS affiliate group. This didn’t happen by accident, it happened suddenly and from multiple media outlets and “journalists,” as if it were coordinated. “Why hasn’t Trump said anything about this?” they asked. Of course, the White House had spoken about it the day after it happened, but since it came from the president’s spokeswoman and not him directly, this fact was ignored. Presidents don’t speak about every death in battle and never have, but this one was manufactured to be different. It was going to be “Trump’s Benghazi,” or so the media hoped. But there were no warnings ignored, like in Benghazi. There was no 13-hour delay in sending aid. There was no blaming of an Internet video to cover up the failure of the administration to act, and no one was sent to prison for a year to aid in the re-election of the president. The only similarity with Benghazi is the body count. But liberals never let the facts get in the way of a good story, and since they control the media there is no reason to. Human decency used to be what held back their darker impulses, but they are no longer burdened by such constraints. When clownish Florida Congresswoman Frederica Wilson (D), accused the president of callousness in his condolence call to the widow of Sgt. La David Johnson, it was a new low for a party setting new lows at a record pace. Calls from a president are not spontaneous. Staff calls and sets up a time convenient for both. So that Wilson was there was not a coincidence, it was planned. It was going to be a painful call to receive, as every condolence call is soon after losing a loved one. That the Johnson family was upset after it was not surprising; what was is how Wilson marched right to a receptive media to spin their grief into a political knife. Wilson’s actions were despicable, as was the media’s adopting of her word as gospel and her tactics. Basic human decency was torched when the president’s response was portrayed as “an attack on a Gold Star family” and not what it was – a refutation of a partisan attack by an activist Democrat and media. President Trump never has been critical of Johnson’s widow. He’s been critical of Wilson and her fellow travelers in journalism. But you’d never know that if you watched CNN or MSNBC. They are lying to their audience because, well, that’s what they do. It’s what they did when Trump responded to the attacks of Khizr Khan at the Democratic National Convention. He never once was critical of Captain Humayun Khan, the hero who lost his life serving our country, nor did he say anything about how the Khan’s grieved. But being a Gold Star family does not grant absolute carte blanche on everything else. This was demonstrated by the media’s response to General John Kelly’s lecture to the press on Thursday. Joy Reid and Lawrence O’Donnell, MSNBC’s reliably dumbass-duo, accused Kelly of being a racist for rebutting a black woman’s claims with facts. It seems Gold Star parents such as Kelly are sacred only to the point what they say conflicts with the progressive agenda. Reid and O’Donnell are unworthy of respect. But they are not unique, they are all too common. Liberals spent the last eight years calling every policy disagreement with Barack Obama “racist” because the alternative would be defending their failed policies. In the case of this condolence call, it’s easier, and disgustingly cheap, to toss that claim out there than report honestly. These people are not honest, and they’re not good people. Good people wouldn’t do this. 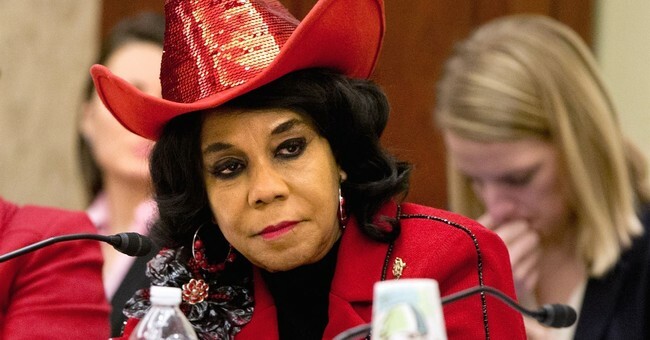 If Wilson were a good person she wouldn’t go on CNN and accuse Kelly of using a racial slur against her when he called her an “empty barrel.” Of course, if CNN were an honest broker they would not have let that comment go by unchallenged either. And if either Wilson or the CNN host were smart people, they would have known the concept behind the term dates back to ancient Greece. General Kelly was correct, nothing is sacred anymore. If it can be exploited for political purposes, every tragedy is fair game for liberals. Reality doesn’t matter – truth need not apply. The fact that no other family has said word one against a condolence call made by President Trump is irrelevant, he was coldhearted to the Johnson family because they say he was. To believe the guy who made this call to another Gold Star widow is capable of basically telling a woman “Yeah, well, what are you going to do?” during the worst time in her life, that just so happened to be overheard by a partisan Member of Congress, says more about the people who believe it than it ever could about the President. I never wanted to believe liberals were actually evil, just obstinately wrongheaded and misguided in their belief that the policies they advocate only failed everywhere they’ve been tried because they weren’t the ones implementing them. This manufactured story has me rethinking that opinion. What else can you call people willing to distort the truth, to smear a good man like Kelly, simply to put some points on the board in a political battle? It wasn’t done by accident, it wasn’t done casually without forethought, it was done deliberately with purpose. If there’s another word to call that, I’d like to hear it.